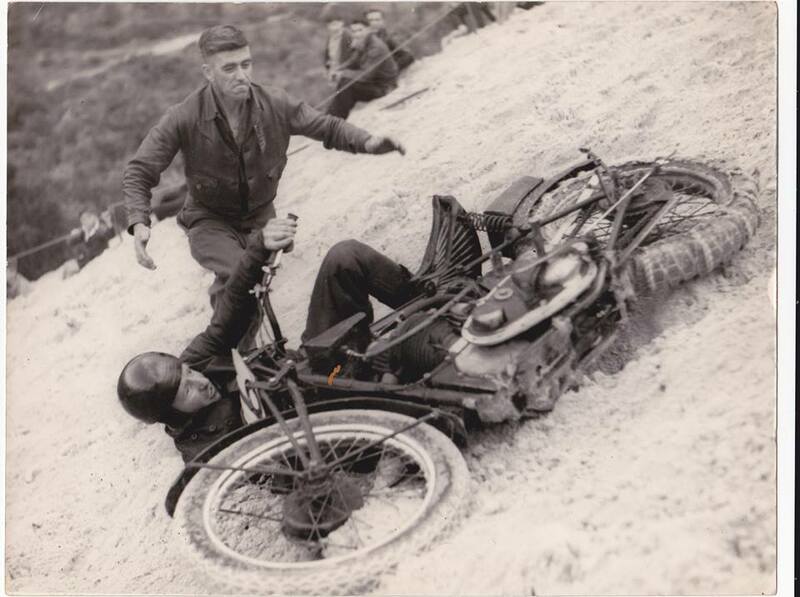 The Harley Motor Cycle scrambles were inaugurated on the slopes of Buckland Hill at Mosman Park in the late 1920's. 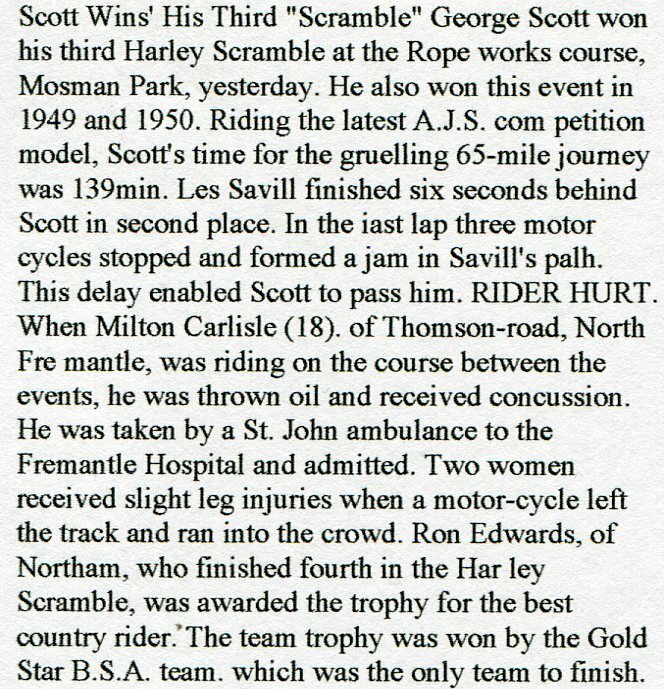 Photo: Lloyd & Barb Hartree collection. 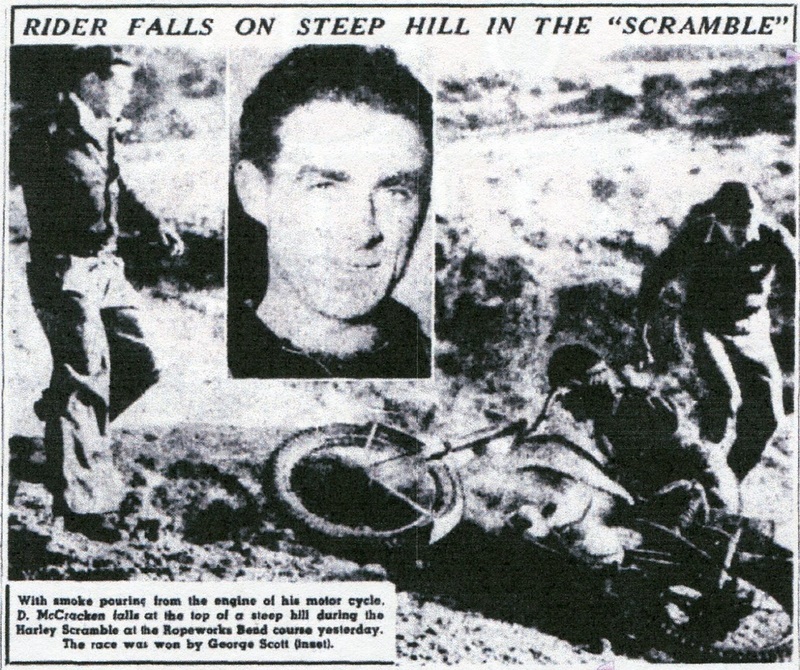 The first motorcycle scramble to be run in Western Australia was orginised in June 1928 by the Harley Davidson Motorcycle Club at the instigation of two of its members, Messrs Roy Charman and Aubrey Melrose, who brought the idea from England and discovered and pioneered the course at Buckland Hill as it was known. 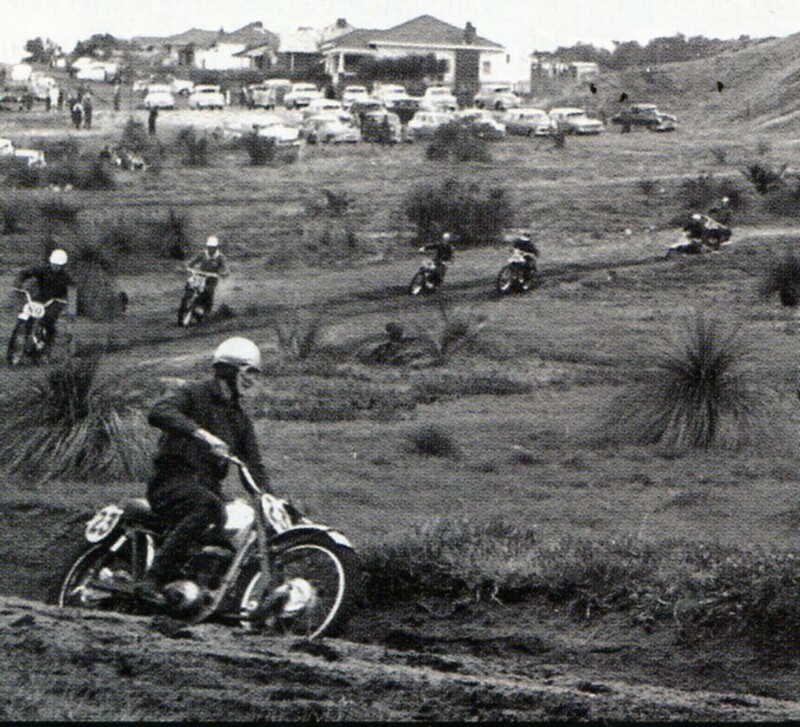 The first scramble started at the Perth-Fremantle road near the Ropeworks and finished at a place on the bank of the Swan River known as Billy Goat farm. 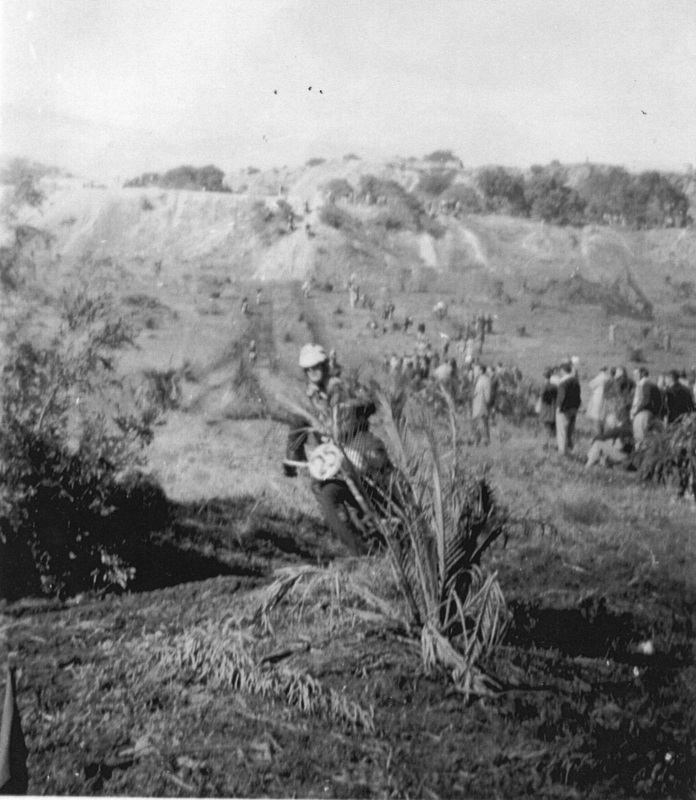 In the earlier scrambles very few of the competitors were able to negotiate the climbs without assistance which was forthcoming in the form of rope gangs. 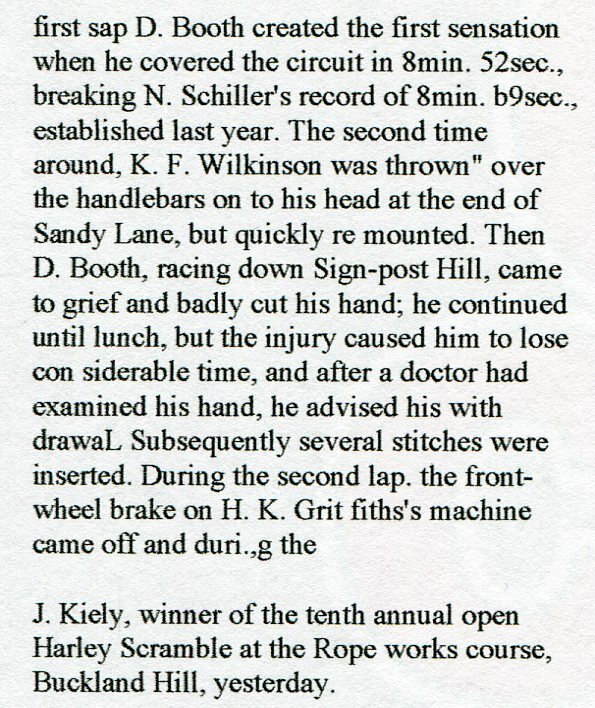 The Harley Scramble course was ever changing and becoming shorter, with that came different names for the circuits. A 12 year-old Hale School boy was killed yesterday afternoon when he was struck by a motor cycle ridden by one of the competitors in the Harley scramble at the Rope works course, Mosman Park. He was Robert Bedford - Brown of Viking - Road Dalkeith. 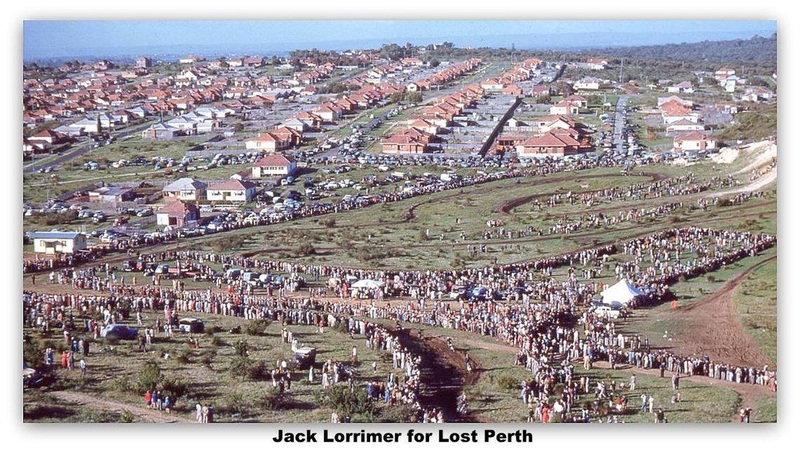 The boy had been watching the event with a friend from the side of the first embankment from the starting point, when about 3.20pm he suddenly ran in a crouched position into the Path of a machine ridden by Mervyn William Blakeney, of Farnley Street Mount Lawley, who was about to ascend the "Melrose Slide", it is believed that the boy did not see the approaching rider until he was in the centre of the track, when he stopped and made as though to run back, he was struck by the front wheel of the motorcycle and thrown about 4ft to the side of the track, The rider, who was in fourth place at the time, was not dislodged from the machine and momentum carried him to the top of the hill, were he dismounted and rushed back to the boy, Ambulance men and Police were soon on the scene and the victim was taken by a vehicle to Stirling Highway, he was then transferred to a St Johns ambulance and taken to the Fremantle Hospital, Sgt G Gamble and traffic constable WA Leahy made enquiries, Ambulance men were kept busy during the day treating minor injuries received by the riders, Several spectators who collapsed also received treatment, When he was thrown from his motorcycle during a practice run on the course about 4.15pm on the Saturday Percival George Wilks (22), of Gildercliff Street, Scarborough received injuries to the right eye and shoulder, A St Johns ambulance took him to the Fremantle Hospital, were he was admitted. 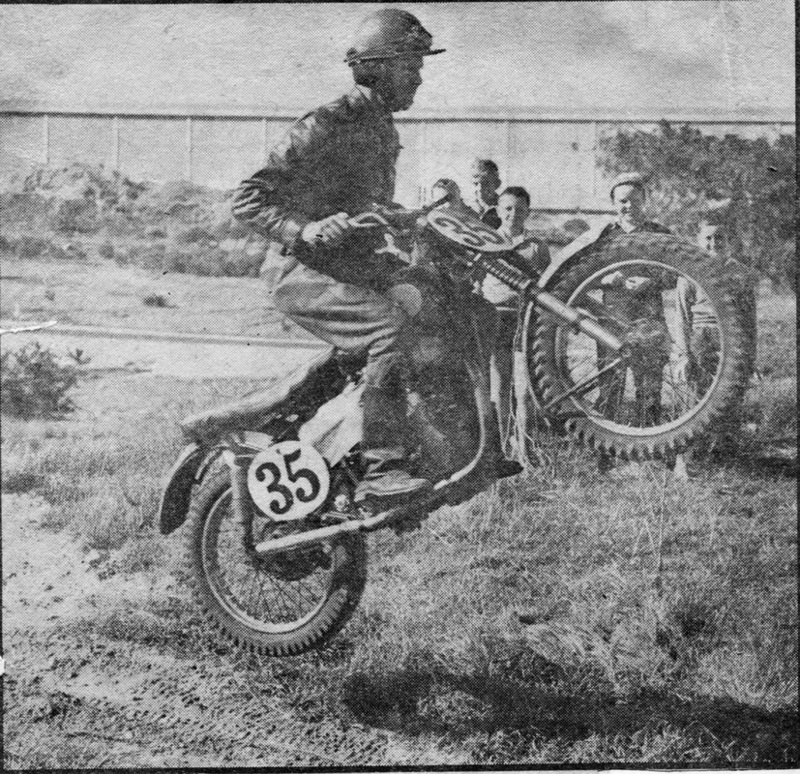 Veteran motor cycle racer Les Clinton (44) first rode in the Harley Scramble in 1937, He missed out a couple of times since but tomorrow's event will make his 21st entry, He's won the race four times but still spent some time going over the Mosman Park course today-to the delight of a few young spectators. 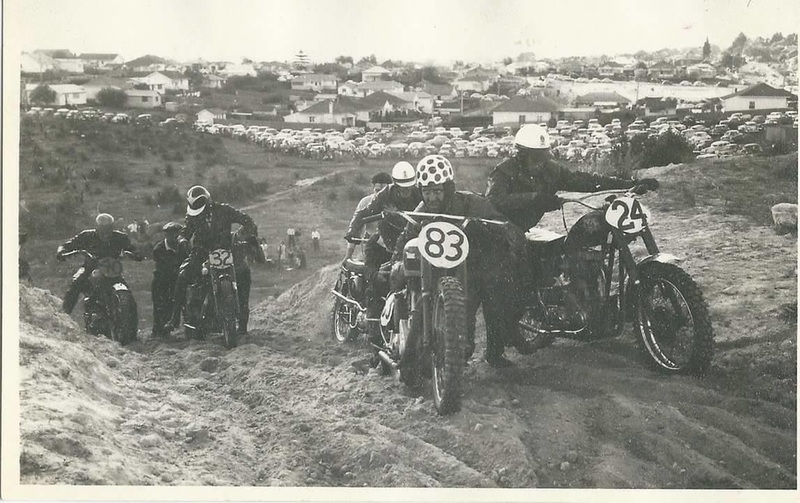 The running of the 1962 Harley Scramble also incorporated the running of the Australian Scramble Championships, Many riders from across Australia came to West Australia to take on this tough circuit as well as some very talented West Australian riders. 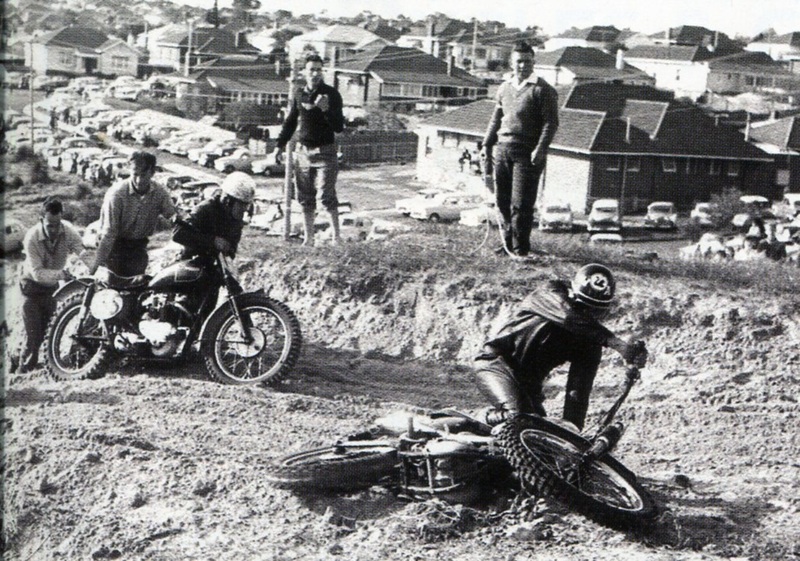 Above: Bunbury rider Glen Britza leads Victoria's Leon Street and Gerry Vial from New South Wales, Right Britza powers up the slide on his Greeves. Photo's: unknown. 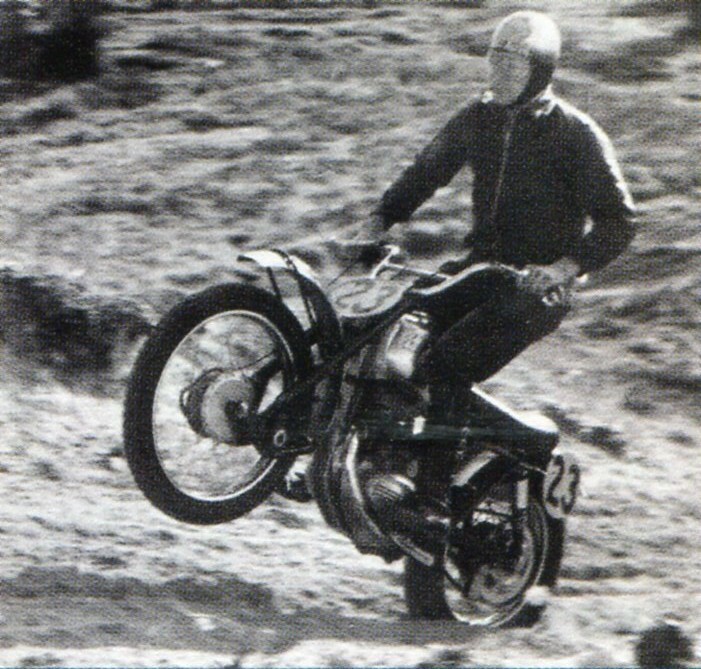 Gorden Renfree from the Bunbury Motorcycle Club riding an overbored 250 BSA drops his bike but still managed to go go on and win the 1963 event. Photo: unknown. 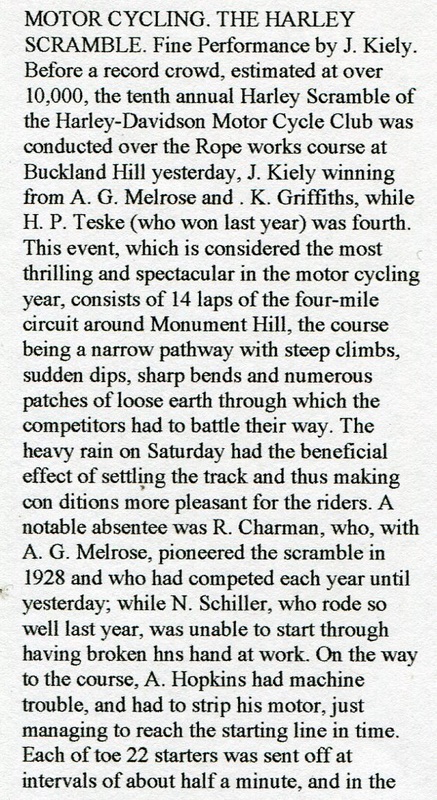 With the constant shortening of the track from time to time, over the last few years the circuit has been confined almost entirely to the valley between Monument Hill and the Rocky Bay limestone hills, Spectators on the main vantage points are able to follow a riders progress almost from start to finish of the event, In this respect the course is unique and is regarded by local riders and those from the Eastern States who have competed here as the finest and toughest in Australia. 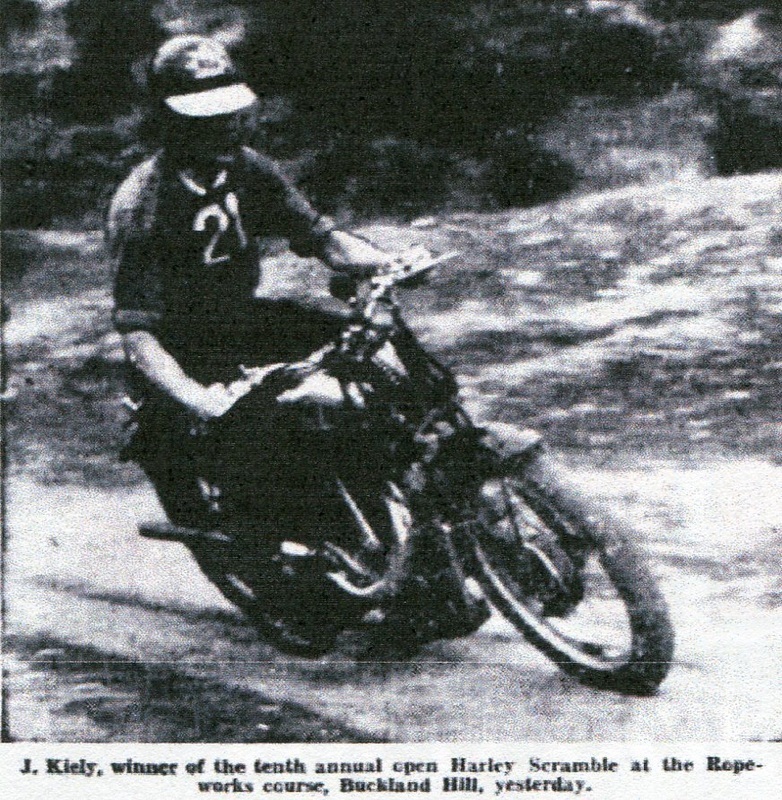 The Harley Club had conducted two Australian Scramble Championships on the course and the Harley Scramble has become known as the Blue Ribbon event of motorcycling competition in Western Australia, since its inception the Harley Scramble has been held every year from 1928 until 1965 with the exception of the years 1941 to 1945 inclusive when most of the members were away serving in the Armed Forces during the second world war.